Coffee’s an art here. Lattes are topped with a foamy leaf, a flower or, in some cases, a unicorn. Then there’s the beer. PDX has it all; sours, IPAs, fruity whosawhatsits, even one made with the yeast of the brewmaster’s beard (we’re looking at you, Rogue Ales). But which takes the crown, beans or brews? It depends on how you take your buzz. 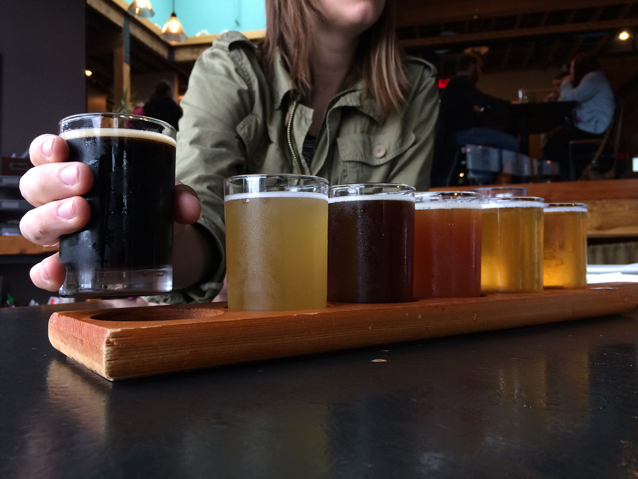 Should you land in Rose City, visit four of Active Junky’s favorite places to sip and savor. Then decide for yourself. Try: The mocha. Not too sweet, the perfect hint of chocolate. One of four Portland Barista locations, the spacious Alberta shop features dramatic décor (think: taxidermy and zany prints) along with gorgeous extended walnut tables. The menu is no frills, so forget about Frappuccinos and “coffees” masquerading as milkshakes. 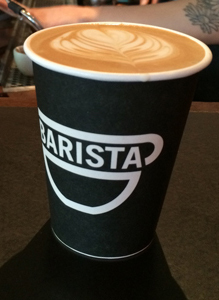 Try: Go for a barista favorite: a no-nonsense cappuccino. Classically cozy with indescribable electricity, Albina Press is where you pen a novel while enjoying a caffeinated cup (topped with a frothy heart). We got the lowdown on cappuccinos, life in Portland and the art of coffee from Albina Press barista, Aaron Walker. Active Junky: How long have you worked at Albina Press? AJ: What do you love most about working at Albina? AW: I love being a craftsman. Mastering a skill, learning how to impart my own creativity and personality into the work. The goal is to create an experience for the customer and to leave a lasting impression. AJ: Why do you think coffee shops have exploded in popularity? AW: The cafe fills a role not unlike a bar, a place away from the restrictions of work and home where people can gather and socialize. I will say that I believe coffee, as a product, is far superior now than it was even 15 years ago. AJ: What's your favorite drink to make? AW: A perfect cappuccino is about as good as it gets for me. Full of flavor, yet delicate. A blend of milk and espresso, it showcases the barista's touch and is just the right size to leave you craving another tomorrow. 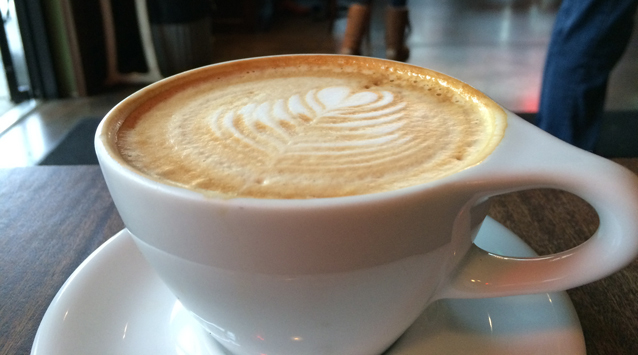 AJ: Do you think the coffee scene is different in Portland compared to other places in the U.S.? AW: I think the coffee scene in Portland is unique to Portland in the same way that the coffee scene in San Francisco is unique to San Francisco. We love finding our own special ways to showcase our individuality. I love to try coffee everywhere I go, but Portland is home and I will always think we do it best. AJ: In your opinion, what makes Albina Press unique? AW: We have great customers that care about the environment we've created, we make killer coffee and we try to get better every day. Try: Ginger Snap. Spicy, rich and 11.7% ABV. 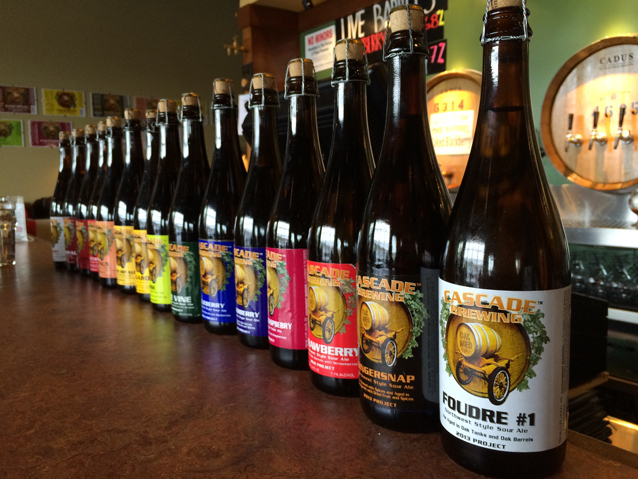 Cascade brings sour beer to the mainstream. Try them all (not all at once!) and learn why Cascade calls itself “House of Sour.” With a tap house equipped to handle the elusive PDX sunshine, Cascade’s a perfect place to enjoy a pint outside. Try: Wanderlust IPA. A GABF winner and a hophead’s dream come true. Gold Medal winner of the American Style IPA at the 2014 Great American Beer Festival, Breakside is serious about their beverage endeavors. The brewery is laid-back with a dark wood interior; barrels stand in for tables, completing the vibe. Get a sampler of six and a pretzel, then chat up the affable bartender. Jack Johnson of Breakside Brewing gave us an insider's look at the operation. Active Junky: What do you love about beer? Jack Johnson: I love having a conversation over a pint. I love learning and I love experiencing through my own senses. Fermented beverages are eternally relevant. Yeasts predate humans, and many cultures have ancient lore of people finding bubbling ponds or hollows in logs, drinking from them and finding euphoria. Over the last 30 years, beer has been coming out of the Dark Ages in the United States. Why and how yeasts interact with wort, what role water plays, and what flavors and aromas can be derived from hops – these are questions that we’re finally finding answers to. What was once a magical process is now a science. AJ: In your opinion, what makes Breakside different from other breweries? JJ: Our brewmaster has a bit of a photographic memory for flavors. In the same year at Breakside, Ben came out with a stout made with miso, seaweed and mushrooms, a porter with roasted duck, a saison with lychee and Aji Amarillo – the list goes on – 100 or so other distinct beers that year alone. We find a balance that allows strong flavors to coexist with subtle ones. A beer is more interesting to me when there is something new to be found with every sip. AJ: What about with classic ingredients? Like hops? JJ: Breakside is really the only brewery I know of doing what we are doing with hops. There was a real swing toward "more is better" in the industry's attitude toward hops. But really, hops are a complex ingredient that harbor many flavor compounds aside from bitterness. Our brewers actually backed off the amount of hops added to our IPA, showcasing the tropical and resinous flavors in favor of the straight up bitter, and the result won gold at GABF this past year. AJ: What's your favorite beer on tap right now? JJ: Fortunella. It’s a double wit with coriander, which is a pretty traditional ingredient, but it’s fermented on kumquats, rather than the more traditional orange peels. It seems almost simple next to the bevy of creations to come out of our brewhouse, but a beer so deceptively light, dry, tart and refreshing as this offering can make a sunny afternoon. The Guava IRA needs a shout out too, because it’s great for chilly spring nights. AJ: Do you think breweries foster community? JJ: Absolutely. Beer brings people together who might not otherwise have anything in common. It has been like that for centuries. AJ: What do you love about Oregon beer culture? JJ: In Oregon, the production and enjoyment of beer has created an entire society. Brewers here prefer a collaborative environment to a competitive one. Everyone shares materials and information to some degree, and one piece at a time, brewers are assembling the big puzzle of what makes good beer good. AJ: Why do you think the beer scene has flourished in Portland? JJ: Proximity to the best hop-growing corridor in the world. Yakima and Willamette Valleys are some of the best hop habitats. Also, we have an educated public with educated palates. There is so much to choose from here. With food, or without, whatever temperature, weather, or time of day – there is an apropos beer waiting to be paired with the experience. AJ: In your opinion, what's the future of craft beer? JJ: More experimentation and advances in technology will drive prices down and keep beer the beverage of the common person. Already, workers of today drink better than the kings of antiquity, and that's only a couple hundred years of change. As beer is demystified and multiple styles thrive, the average drinker will become more educated about what they like and when and how they consume it. The finish: Microbrew capital of the world. Coffee shop mecca. It’s undeniable: Portland, Oregon is the place to be for both beans and brews.